Just steps away from Pantai Inn you’ll find La Jolla Village, home of some of the country’s finest designer boutiques and art galleries. 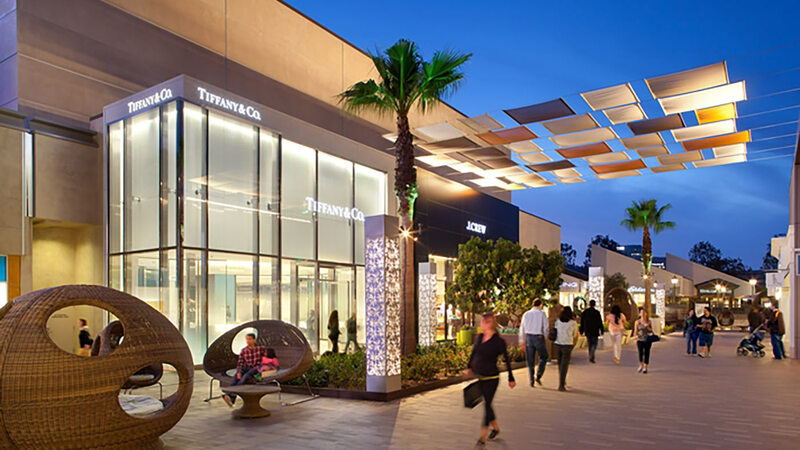 Looking beyond La Jolla, the San Diego area offers the chance to shop and explore at a variety of shopping centers, both indoors and out. La Jolla Shopping District 7837 Girard Avenue, La Jolla CA 92037 The choice of celebrities and bargain-hunters alike, La Jolla is for all who seek "just for me" instead of "me, too". Here you'll find the priceless and the popular. The haute couture an the comfortably familiar. The world's most luxurious brands and the everyday values. Parking is plentiful and so are the opportunities, so make a whole day of it. Fashion Valley Shopping Center Mexican 7007 Friars Road, San Diego, CA 92108 San Diego's finest collection of stores in a beautiful outdoor shopping center featuring 200 stores and restaurants including an 18 screen movie theater. Department stores include Neiman Marcus, Nordstrom and Bloomingdales along with countless other and restaurants. Carlsbad Premium Outlet Mexican 5620 Paseo del Norte, Suite 100, Carlsbad, CA 92008 30 minutes north of La Jolla, you’ll find impressive savings at 90 outlet stores including Banana Republic, Barneys New York, Calvin Klein, Cole Haan, Crate and Barrel, DKNY, Lacoste, Michael Kors, Polo Ralph Lauren, Theory, Tommy Hilfiger and more. University Town Center Mexican 4545 La Jolla Village Drive, San Diego, CA 92122 Westfield UTC resides in the heart of University City in La Jolla and offers luxury boutiques and top national fashion brands, along with a sleek dining terrace, full service restaurants and new lifestyle and entertainment choices such as ArcLight Cinemas and a 24 Hour Fitness Super Sport club. Horton Plaza Mexican 324 Horton Plaza, San Diego, CA 92101 An iconic downtown San Diego shopping destination, Westfield Horton Plaza is known for its eclectic architecture and vibrant colors, offering over 120 stores and restaurants to choose from. Westfield Mission Valley Mexican 1640 Camino Del Rio North, San Diego, CA 92108 Westfield Mission Valley is the premier shopping location with over 120 stores and restaurants to choose from. The Westfield is also home to AMC Mission Valley 20 Theaters.